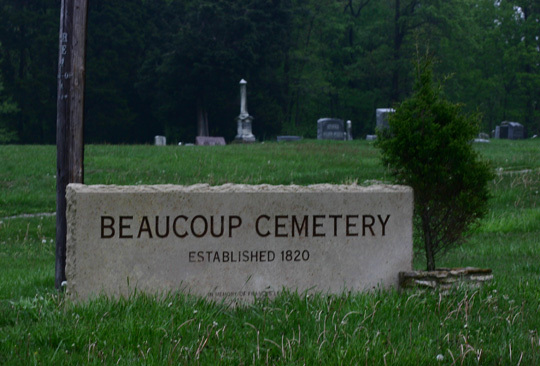 Directions: Beaucoup Cemetery is located on Rt. 15 and Ballard Street, on the southwest side of Beaucoup. Condition: This cemetery is very well kept.